I am having a lifelong love affair with flowers. If you strive to be pure of heart and mind and are ready to face the world and share your many gifts, beauty, and wisdom in a deeply satisfying way that contributes a legacy of love, then you and I are kindred spirits. Pansy can assist us to accomplish this with grace. What if we had an ally who could help us to achieve our intention to find this purity and courage with a simply enchanted elegance that was easy and graceful? 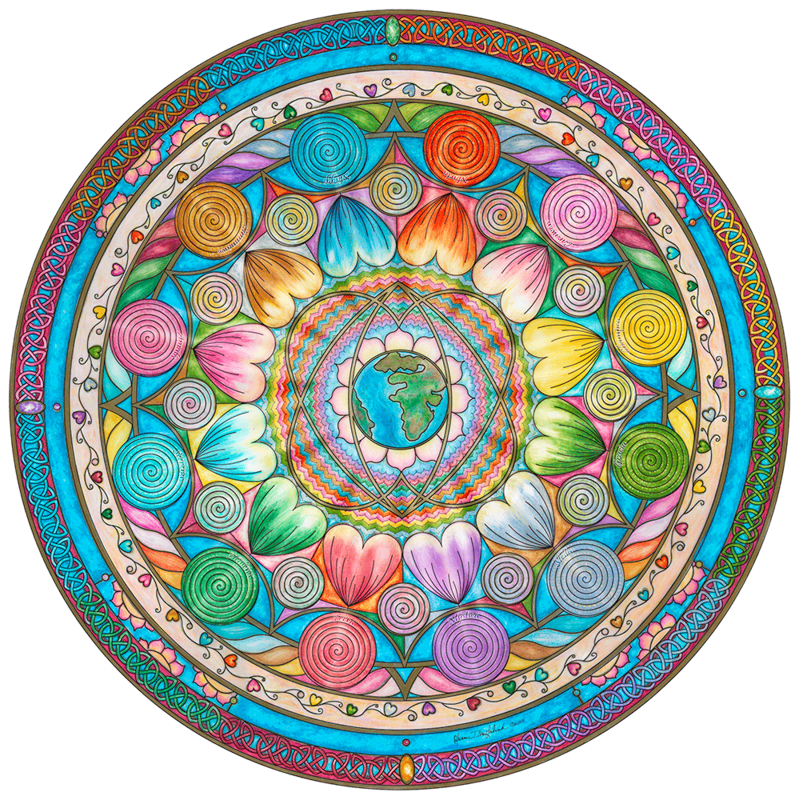 What if we could let go of working so HARD to be clear of negative thoughts and have our heart chakras open wide, activating deep healing in our immune systems and clearing disorders we have carried for decades, or eons? I have asked myself these questions many times, and now, the magical world of enchantment, the Deva's and inner guides, are providing answers that have been right in front of us all along. According to the ancients, and many well known and reputable healers, we can call upon the Pansy to be a support for us in enhancing and healing our hearts and as a result, our lives. Life Herself, provides so many wonderful remedies for our human “conditions”. Yet, in our current modern age, we often overlook or underestimate the amazing gifts that the pretty posies growing lushly in our home gardens have to offer. But now, the wise Mother of Life within each of us, is calling us back to the Simply Enchanted world of heart wisdom, and a big part of that world, is Nature. And a wondrous part of Nature, is the flowers and plants. Here is some additional information about Pansy Flowers. They are so easy to grow, so lovely, and have so many uses. I get organic flowers or if that is not available, buy from a reputable nursery and allow the plants to blossom a few times, and then I use the flowers. FIVE PANSIES A DAY KEEPS THE DOCTOR AWAY! PANSY IS A GREAT SOURCE OF RUTIN, WHICH STRENGTHENS CAPILLARY WALLS. Taking 100 milligrams daily of rutin can mitigate the effects of varicose and spider veins. The best way to get your rutin is from pansy flowers instead of a pill. 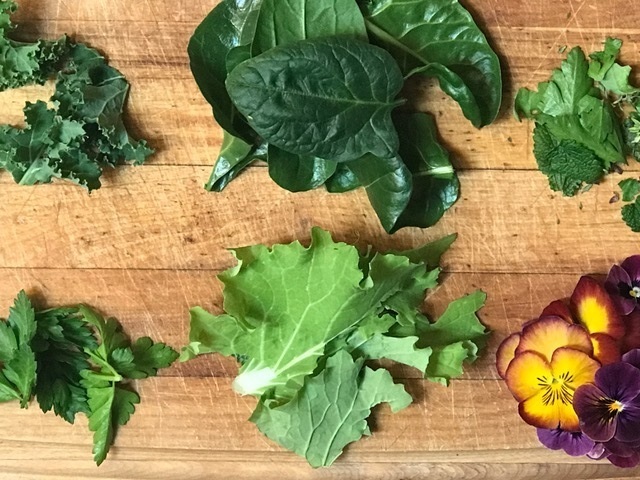 Just five of the fabulously edible flowers a day (try sprinkling them overtop of your salads) supplies that helpful dose, and the synergistic effects you get from eating a whole food provide much greater potential benefit than an isolated extract. 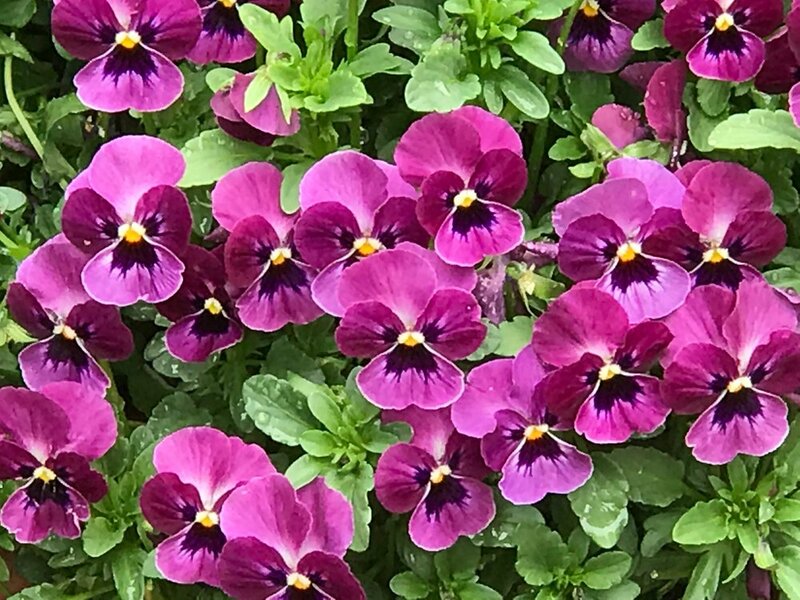 *The Chinese have long since used pansies to treat and soften tumors in the body that could result in cancers of the lungs, stomach and the breast. * Pansy can strengthen contractions of the uterus and induce labor. * The antitussive properties of the pansy plant lend it to being used to treat respiratory conditions such as asthma, whooping could, and bronchitis. It also soothes inflammations and irritations in the mucus membranes of the throat and loosens and eliminates phlegm. The best way to treat such ailments is by gargling with pansy tea or a pansy infusion. You could also drink the tea made with dried pansy flowers and leaves steeped in hot water. Add honey or lemon juice to taste. *The salicylates in pansy act as an anti-inflammatory as well. This makes pansy an effective treatment for rheumatism and arthritis. * Bladder infections such as cystitis are cured with the pansy herb. *Regular consumption of pansy can reduce blood pressure and prevent heart failure. *The wild pansy flower has been used since ancient times in the treatment of epilepsy. *Shampoos made with extract of pansy can nourish and condition the scalp keeping it healthy and improving hair quality. You are invited to be part of The Journey of The Enchanted Heart. Click here for more information.